Berkshire Hathaway Guard Insurance Group, Inc.
Georgia Farm Bureau Mutual Ins. Co.
Gulf Atlantic Insurance Services, Inc.
Lumbermen’s Mutual Group Markel American Ins. Co.
New York Central Mutual Fire Ins. Co.
North American Claim Mgmt. Co.
Pennsylvania Millers Mutual Ins. Co. I am an innovative attorney, and have handled all kinds of cases on a number of different fee arrangements. I understand the heritage, traditions and needs of each of our clients. While our firm historically has handled legal matters on an hourly basis (at an hourly fee which is below the usual market rate), we understand our clients’ needs are changing. Our firm welcomes the opportunity to agree to alternative fee arrangements (“AFAs”). 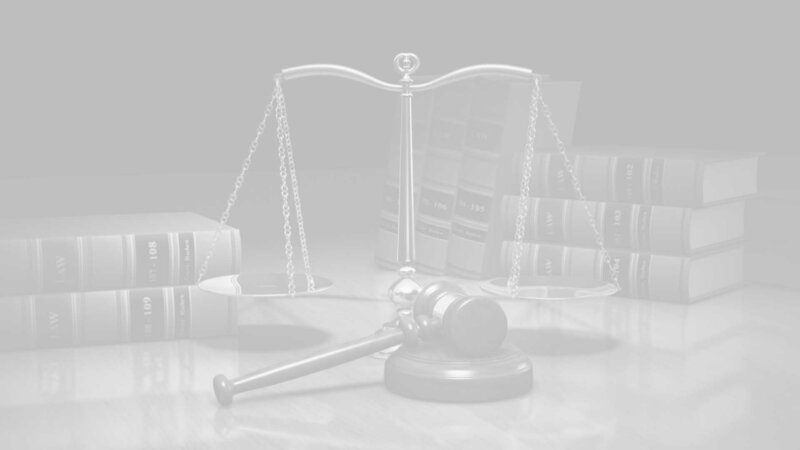 We recognize the need to promote the client’s interest in obtaining efficient and effective legal representation. We are well-suited to do this because of our specialized litigation experience and lean operations. Unlike large, multi-location law firms, we have no overhead “fat” to attempt to pass on to the client by excessive fees or costs. Our firm understands we must determine with our clients what actually is the ”best” outcome for them in a particular matter. Our firm understands the ability to focus on results “”ill serve the best interests of all parties, by a<ihieving a prompt resolution for the insured and by controlling costs for the third-party insurer. Our firm understands that Rules of the American Bar Association, including Model Rule 1:5 (which provides in part that: “A lawyer shall not make an arrangement for, charge, or collect an unreasonable fee or an unreasonable amount for expenses”) are the best champions of AFAs) since the client and the attorney agree on outcome-based risk that is shared by both parties. Out firm believes the key to making AFAs work for both our firm and our clients is experience. Under an AFA, our firm is awarded for our efficient and effective resolution of a matter. That requires our firm as legal counsel to possess the ability to hone in on only those issues that are most likely to achieve resolution, which ability is the result of our legal experience and the confidence in our legal judgment that experience fosters. We welcome the opportunity to respond to a request for proposal (“RFP”) for legal services. We understand that for a client to choose our firm is part of the business problem you are trying to solve. We respect that this requires you to have focus and ‘ manage by objectives. We also appreciate that the essence of Management by Objectives (“MBO”) is participative goal setting, choosing courses of action and decision-making. We believe that an important part of the MBO is the measurement and comparison of the players’ actual performai1ce with the standard set. Ow’ firm also believes that, ideally, when the players themselves have been involved with the goal setting and choosing the course of action to be followed by them) they are more likely to fulfill their responsibilities. Our firm understands and respects that when utilizing MBO, it is important to be SMART in the creation of these plans, with the SMART plans to remind us that we are working toward Specific, Measurable, Attainable, Realistic and Time-sensitive objectives. Our firm is familiar with goal setting by MBO, and any RFP by you should add that into your consideration of our firm. We understand that goal setting should include Key Performance Indicators (“KPI”), which establish benchmarks to track performance, and our firm welcomes that opportunity and scrutiny. deadlines/mediators to steer the litigation. When we segment a case, we break it down the case into phases, tasks, and deadlines. Our work has general rules to it which filter a master schedule of timing, who performs the work, and automation of next steps. Our firm understands that AFAs strongly incentivize our firm to take a strong position on what we predict will be the most likely outcome for a particular case. We accordingly plan for this scenario rather than worst case scenarios. We appreciate that there is no one sized solution, and that client and counsel need to agree upon what best serves everyone’s needs. The l<ey to any attorney-client relationship is communication. Understanding each client’s individual objectives is key. I am a member of the leading defense attorney firms: Defense Research Institute (trucking section) and Virginia Association of Defense Attorneys (automobile and transportation section). I have been enrolled in and attended truck driving classes to give me further insight into truckling cases. I have received specialized truck training. I prepared for and successfully passed the Virginia Department of Motor Vehicles examination on general knowledge of tractor-trailers and their operation, air brakes, and combination vehicles, and possess a Virginia CDL instruction permit. Further, over the course of a five week period, I attended trucking classes at Tidewater Community College in Suffolk, Virginia, and successfully completed classes in Department of Transportation Safety Rules and Regulations, Preventive Maintenance for Truck Drivers and Survey of Trucking Industry, such training including my successful operation of tractor-trailers on streets and highways. A good attorney must possess good communication and writing skills. I have demonstrated I have both. The above opinions were delivered on the occasion of Judge Hoffman sitting as a designated judge with the Ninth Circuit Court of Appeals. I have authored the following published articles in legal scholarly journals. I have honed my communication skills by giving presentations. I continue to try to improve by furthering my education in all ways, including continuing legal education courses. I stay closely in touch with claims managers and representatives and adhere in all, respects to reporting, case handling, and billing requirements. I have been involved in the defense of personal injury and property damage claims in state and federal courts throughout Virginia since 1977. I have a proven ability to get good results, within the budget and framework of our industry clients. I am a member of the Hampton Roads Claims Association and the Virginia State Claims Association. In addition, to further improve my skill in handling all forms of transportation matters, I am a member of such industry-specific groups as the Hampton Roads Traffic Club, the Tidewater Motor Truck Association, and the Transportation Lawyers Association, an invitation only association limited to experienced transportation attorneys. I am also a member of the Virginia Beach Bar Association.